1. Clean the fish and wash it properly. And make a slit on the fish. 4. Heat about 3 tsp oil in a pan or tava. Spicy rava fish fry is ready to serve. 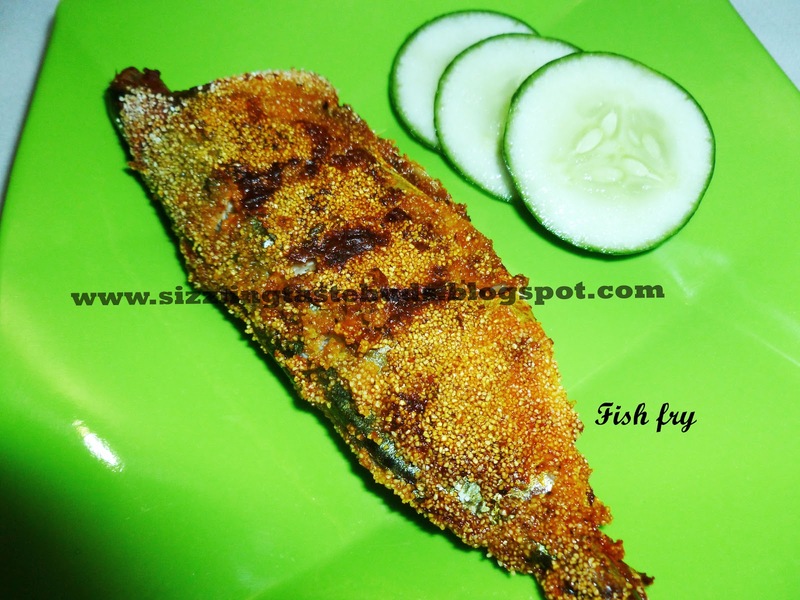 Enjoy this hot and spicy rava fish fry with rice and dal and let me know your feedback. Here's the recipe for Rava Tava Prawns Fry. you just typed in fish but which fish is it?? You can use any fish you like. I used Mackerel.